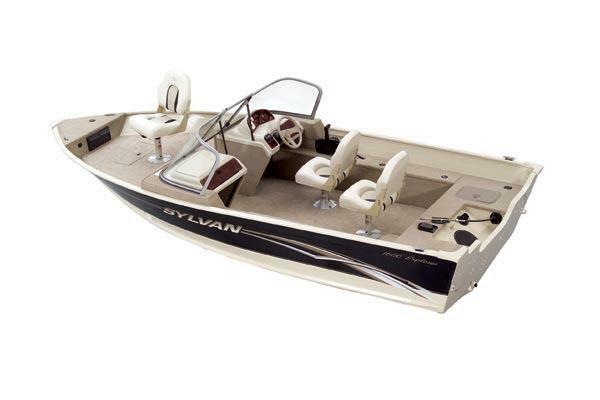 Boat Description The Sylvan 1600 Explorer DC features a full complement of standards and options, from its three comfortable bass seats, to its plentiful storage for rods and gear, to its 30-gallon aerated livewell. It also has a trolling motor plug, a battery compartment, and a 24-gallon fuel tank. Other highlights of the 1600 Explorer`s rugged, reliable construction include the Gull Wing hull with 10-year warranty, treated floor with lifetime warranty, twice-baked urethane paint, and a 5-year carpet warranty.